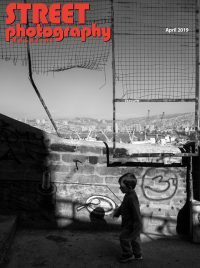 The June 2018 Issue of Street Photography Magazine is now available! Due to our travel schedules we are publishing the June issue a few days early. And that’s a good thing because you are going to need a little extra time to digest it. So find a shady spot, grab a cool beverage and enjoy. Interview with Joana Toro - Colombian photographer Joana Toro takes us along on her photographic journey as she explores some heavy issues affecting people on an international level, always with realism and hope. Paraísos Artificiais - "Paraísos artificiais" (Artificial paradises) is a series that originated from my own experiences in the nightlife of São Paulo. The New York Photo League of the 1930s - Founded in 1936, the New York Photo League set out to shoot their complicated, stressed-out world. Animesh Ray on Street Photography - Meet Animesh Ray, a street photographer from India who catches glimpses of another side of consciousness - the interplay of abstract form with subjectivity and humanism - as he shoots the world around him. A Journey Led by Street Photography - For most of us, when we started shooting streets for the first time, it was the beginning of an unexpected journey. Ehsan Hemmati is no exception. A Wonderful Encounter - Japan, is a small island country on the eastern end of the world. The world is huge, but Japan is all I had seen. I knew I would regret not seeing the world. It was now or never. Our Street Shooters of the Month are: Barton Cooley, Liu Kim Ching, Feruz Kesete, Mark McGuire, Mário Duarte, Zahid Rahman.